Podcasting is often forgotten when forming a public relations media plan for your garden business. Yet, more people each and every year listen to podcasts. Last year, 29% of Americans, or one in three, listen to podcasts. With your garden industry blog or website, it isn’t about reaching more people, but targeting the right people. Those 29% of podcast listeners are affluent, active on social media, and are advertisement avoiders. Integrating a podcast onto your garden industry blog or website allows you to reach a key demographic of listeners, who you may typically miss out on. Belo are a few reasons why you should be podcasting as well as a simple guide to create a podcast. Each year, everyone gets busier and busier. 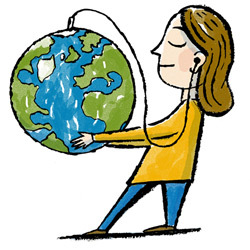 Podcasts are there for the traveler. Podcasts can be heard on iPods, smart phones, and tablets. They go where we go and provide an easy-listening, marketing opportunity on the go. If your garden business already has a blog, then you’re half-way there! Your blog content can be repurposed to become a podcast script. When podcasting, you’re simply providing another way for your clientele to receive information. Podcasting allows you to expand on your blog post and respond directly to inquiries. The written word can be misconstrued; emotion and implied intent can be taken the wrong way, but with podcasts, emotion is at the forefront of the broadcast. Listeners can hear the passion and inflection of the voice behind your podcast. Podcasting provides a personal connection that is often lacking in the written word. Podcasts appeal to a different type of learner. We all have our preferred method of communication, and for some, audio works best. That being said, this audience will go out of their way to get your podcast. Podcasting gives your garden industry blog a twist; it sets you apart from others who may rely on more traditional communication forms. Listeners will often subscribe to a podcast they truly enjoy. Podcasts allow your garden business to create a loyal fan base. Plus, you can cater to their interests, ensuring they’ll be back for more. Since you have a targeted, dedicated audience, your podcast can adapt to their needs. 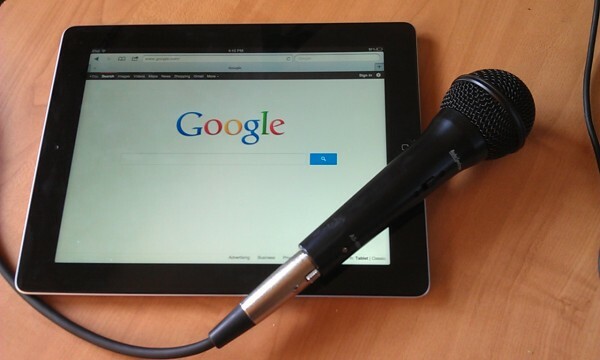 Most laptops already have a built in microphone, and they can be purchased for around $10 if you don't have one. This alternative medium is already accessible to you. No other equipment is needed—except for a radio-friendly voice and superb content. Don’t be intimated by podcasting! It really is easy and worth your garden company’s time. Podcasting is done in four steps: Planning, Producing, Publishing, and Promoting. Plan: Take time to outline what you’re going to talk about—or even write a script! Podcasting is as easy as hitting record, but to podcast well, you must have a focus. Pick a specific topic and format for each podcast. Figure out how long you want it to be. What mood do you want your podcast to have? Figuring out these big questions before each podcast allows for a more focused, interesting podcast in the long run. Produce: Now, it’s time to record! Be sure your sound quality is decent, and you’re staying on topic while being engaging. Publish: Publish your podcast on the iTunes market as well as your blog and website. For more tips on how to do this, go here. Promote: Promoting your podcast is very similar to promoting your blog, so check out these tips for both! Learn more innovative ways to communicate in a digital world with our e-book!